Last night drummer Matt Traynor released a statement announcing he would be stepping away from from Blessthefall and that the Hard Feelings Tour would be his last. Traynor and the band took to Twitter to release a full statement. “After much time and consideration, I have come to the personal decision to end my time with Blessthefall. The Hard Feelings US Tour will be my last. Making the choice to step away from something that I have been a part of since its origin has been bittersweet. I was “living the dream” for twelve plus years, but now that I have a family, I’ve realized that my dream has changed. I’m so proud to see how far BTF has gone and all the experiences I’ve had. I’ll never forget them. I’d like to thank Beau, Jared, Eric, Elliott, Craig, Mike, Miles, Dave, our management, record labels, my sponsors, all of our crew members-who have been brothers/sisters to me and have shaped me to be who I am today. And of course my wife and family for juggling life around a touring schedule for so long. I’ll forever be grateful. 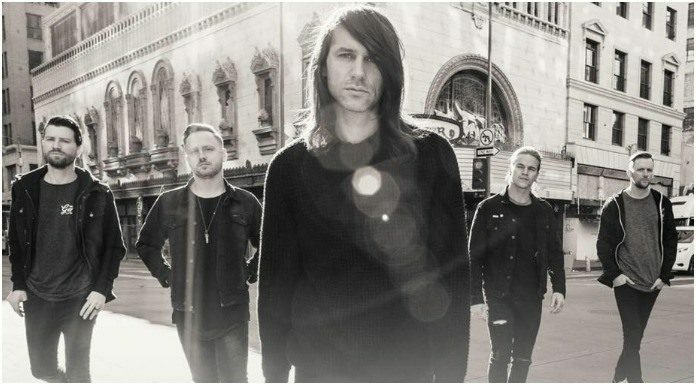 Vocalist Beau Bokan shared the post, telling fans the band would soon be releasing a statement in regards to the future of BTF. We wish Traynor and BTF all the best in their future endeavors! Be sure to catch Traynor and the rest of BTF on tour this fall in support of their sixth studio album, Hard Feelings.